Can you put a cost on pollution? Policy makers, not matter how some may deny it, are more astute than they were a few decades ago about subjects like climate change or global warming. Few can deny the adverse effects of immediate particle pollution on health, but whenever environmental regulations were put forth on the table, cost was a significant deterrent. Last week, a court passed one of the most important rules in the U.S.’s environmental history: the Environmental Protection Agency‘s Clean Air Mercury Rule (CAMR). The law will regulate electrical utilities to keep down their mercury emissions up to a certain level and will supposedly prevent up to 11,000 premature deaths, 4,700 heart attacks and 130,000 asthma attacks a year. The court was divided in passing the rule, however, because of cost. The EPA estimates it will cost $9.6 billion a year, with most of the burden falling on electric utilities. An enormous score that left many of the judges ponder whether there is any justifiable claim to take this action, after all what good is to save lives when you ruin the economy. Unbent by this rhetoric, the majority of the court ruled, however, that the EPA had indeed considered cost and that ignoring this law will actually have more dramatic economic consequences. The economic benefits have been estimated to be worth from $37 billion to $90 billion, outweighing the costs by a factor of between 3 to 1 and 9 to 1. What’s important to note is that these benefits were identified not to be strictly related to mercury. The substance is indeed very dangerous potentially affecting memory, language, attention and cognition, but to quantify it’s adverse effects is really difficult. Some industry groups have said the EPA was overstating the benefits. What you can count fairly easily is its cousin – particle emissions. Efforts to reduce mercury emission will come with co-benefits, namely particulate matter reduction. Particle matter pollution causes severe health complications and in our case accounted for about one-third to one-half of the total monetized benefits of all significant federal regulations from 2003 through 2012. This most likely helped a lot in passing the EPA’s rule, since particle pollution is a very well documented case. For instance, one study looked at two similar populations in China, each living on opposite ends of the Huai River. The people north of the river received free, government-provided coal to heat their homes. The other was made up of people who lived south of the river and did not get free coal. 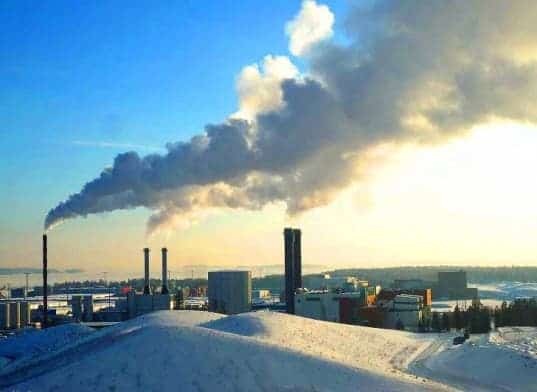 Those heating their homes with the free coal were found to have life expectancies 5.5 years shorter than those who did not, due to the coal-generated particulate matter they inhaled. Most companies operating power plants will have until March 2015 to meet the standards, but a state could grant an additional year and the EPA could extend the deadline until 2017 if the unit was critical for reliability. Laura Sheehan, senior vice president of communications for the American Coalition for Clean Coal Electricity, said that due in part to regulations like the one in April 16th’s ruling, almost 300 coal-fueled generating units in 33 states have announced they will shut down, costing the electricity sector roughly $200 billion in compliance costs and destroying at least 544,000 jobs. Nevertheless, decisions such as this passing EPA’s mercury standard should be celebrated. We, the staff of ZME Science, most definitely salute it!